Goldschmied & Chiari's Untitled Views /Untitled Portraits depart from the artists' ongoing experimentation with colored smoke flares at their studio. 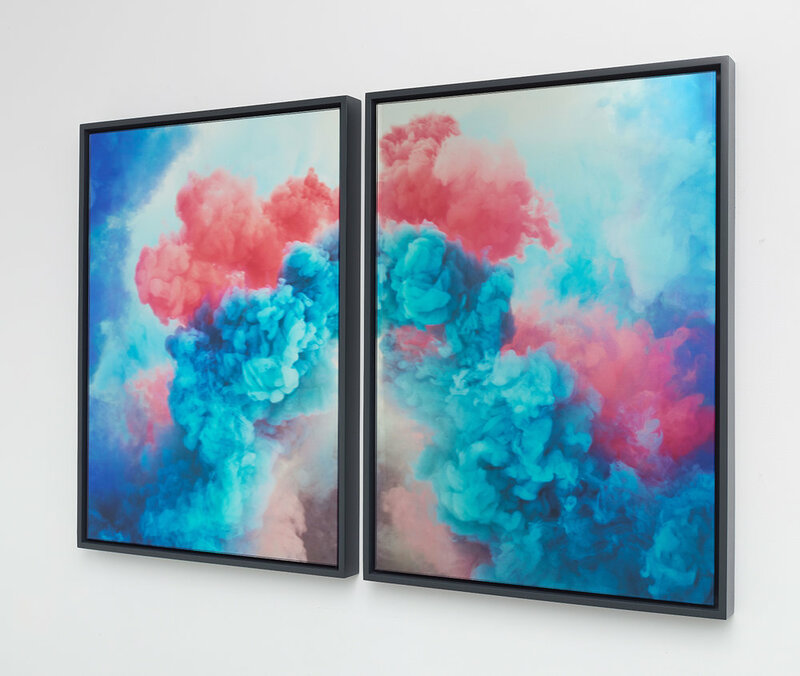 Altered photographs of the smoke, edited into artificial landscapes, fuse with mirrored glass in a specialized printing process. The playful works merge genres of performance art, studio-based photography, portraiture, and pop, and subtly change according to their particular surroundings and the viewer's position in space. Sara Goldschmied and Eleonora Chiari are based in Milan, Italy, and have been working together since 2001. Their works are included in numerous collections including, the Castello di Rivoli, Turin, Italy, the Fondazione Sandretto Re Rebaudegno, Turin, Italy, MUSEION, Bolzano, Italy, FRAC Brétagne, Rennes, France, LIMAC, Museo de arte Contemporáneo, Lima, Peru, The Capital Group, Los Angeles, CA, and the Maison Bernard Anthonioz, Paris, France, among others.